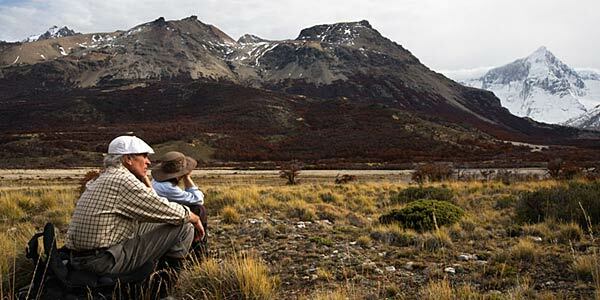 Kris and Doug Tompkins in Valle Chacabuco, Patagonia, one portion of the nearly 2.2 million acres they have conserved in the region. Kris and Doug Tompkins together have protected more land than any other private individuals -- nearly 2.2 million acres in Chile and Argentina -- while simultaneously developing dozens of programs that magnify the positive impact of land conservation. The couple's remarkable business success (Kris as longtime CEO of Patagonia; Doug as founder of North Face and Esprit) has been rivaled by their accomplishments as conservationists, based on a similar entrepreneurial approach. Scenic Hudson will honor the couple with its International Visionary Award at our annual gala to celebrate their inspiring work as conservationists. Kris and Doug, through foundations they have established, Conservacion Patagonica and Conservation Land Trust, have created two national parks and are in the process of creating three more, including Chile's future Patagonia National Park. Spanning ecosystems from subtropical grasslands to temperate rainforests, from rocky coastlines to snow-capped volcanoes, their wilderness conservation projects seek to protect biodiversity and inspire ecological awareness. Innovative programs focused on landscape restoration, endangered species research and reintroduction, community outreach and environmental education complement their land conservation. Through restoring and managing organic farms and jumpstarting ecotourism, the Tompkins have created models of sustainable, environmentally responsible local economies in the regions they live and work. Their team of conservationists is reintroducing giant anteaters to the wetlands of Ibera, in northeastern Argentina; conserving some of the last stands of millennia-old Alerce trees in south Chile; and protecting the endangered Huemul deer of Patagonia. Meanwhile, thousands of schoolchildren have enjoyed their eco-education programs, hundreds of Chilean and Argentine students have gained experience as interns in conservation or agriculture, and dozens of communities have benefited from parklands projects. The impressive scope and the far-reaching vision of their work have spurred many others worldwide to engage in wildlands philanthropy and environmental advocacy. These achievements inspire us in our effort to protect the world-class landscapes along the Hudson. At the gala, former U.S. Interior Secretary Bruce Babbitt will confer the Scenic Hudson International Visionary Award to the couple, which Kris Tompkins will accept on her and Doug's behalf. If you'd like to attend the event and celebrate great land victories on two continents, contact Events Manager Jody Harris.